Better than new! This gorgeous 3 bedroom, 3 bath townhome is a one year old 2nd home and has been occupied for only three months. The seller made nice upgrades since purchase. Having the best, most private location in the entire community, this end unit home has a very open floor plan, beautiful hickory floors, light, bright granite counters, stainless steel appliances, natural gas range, on demand hot water, vaulted ceilings and a 2 story greatroom with stone fireplace. The large upper floor bedroom makes a great 2nd master. The seller has recently added tons of composite decking and a beautiful, private screened porch on the back. The community has a great clubhouse for meetings and socializing, fitness center, outdoor heated pool, cookout area & walking trails with very low HOA fees. 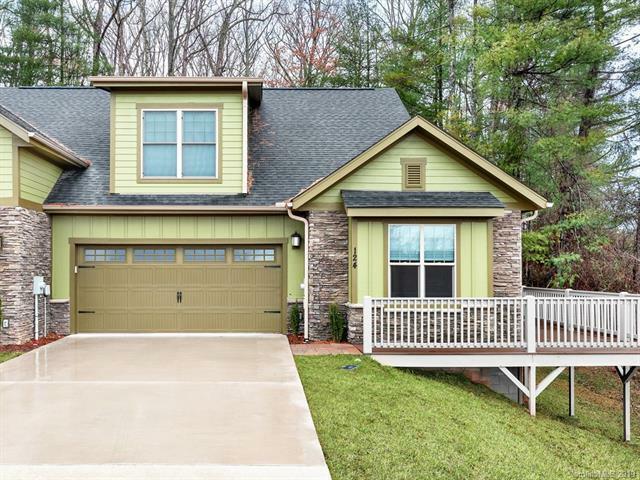 This Energy Star home is located 15 minutes to downtown Asheville's awesome restaurants and shopping. Experience true, lock and go, maintenance free living!